Digital Media Training's courses mix official certified curriculum from industry providers like Apple and AVID with industry specific courses written by media professionals. Training centres are located throughout the UK and include Cardiff, Wales' only Apple and AVID accredited training centre, and major UK cities including London and Manchester. Measuring the success of a training course has always been difficult, but with a certification from a leading technology provider, delegates can prove their proficiency. 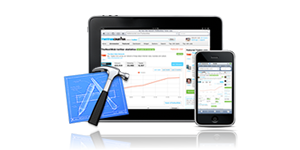 iOS application development has fast become an essential skillset for design agencies and production companies.